Sometimes, you don't beat Tampa Bay's Blake Snell. You just wait him out. Take the Toronto Blue Jays, who had no earthly idea of how to compete against Snell Saturday afternoon. They went after him for six innings, but all they got was a bloop hit, a walk and zero runs. Nine times, they struck out. And still, the Jays beat the Rays 3-1 after a soon-to-be discussed decision by Kevin Cash to pull Snell after six innings. At the time, Snell had thrown only 82 pitches. He had thrown more than 100 in each of his previous two starts, which seemed to indicate he was in control. But Cash pointed to the bullpen in the seventh, and Chaz Roe was immediately lit up with a single and two doubles to surrender the lead. “We came out of the gate knowing we were really going to manage our workloads with our pitchers," Cash said. "Namely, those three (Snell, Charlie Morton and Tyler Glasnow). I wanted to stay consistent to the plan. I'm not going to lie. Maile’s hit probably played a role in that. It made the decision easier. Blake threw a tremendous ballgame. He probably had more in the tank. But I like the way we had stayed consistent to our thought process. We’re going to benefit from that during the season." Perhaps. But in the moment, it seems silly to pull the league's reigning Cy Young Award winner after 82 pitches, especially after a game in which Cash had just seen his bullpen touched for six runs in one inning. “Blake’s really good," Cash said when asked if Snell argued to stay in. "We've had some pitchers who never want to come out. I think Blake does a really good job of understanding. That’s part of the maturity level that he’s shown, the whole mindset that he’s focused on. He gets it. We have his best interest in our thoughts." Snell didn't debate the decision, either. 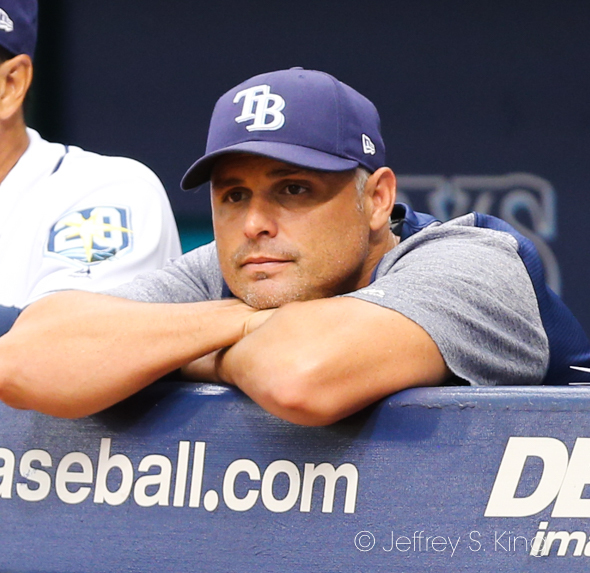 “I go by the simple fact that I believe in (pitching coach) Kyle Snyder," Snell said. "Whatever he tells me to do, that’s what I’m going to go with. I’m going to compete as long as I compete. But I trust him. He’s looking out for me. He always has and he always will." Still, it seems that the Rays let one slip away (possibly) because of their unwillingness to adapt as opposed to sticking with a game plan from weeks ago. Perhaps it will pay off in the long run; it did not Saturday. 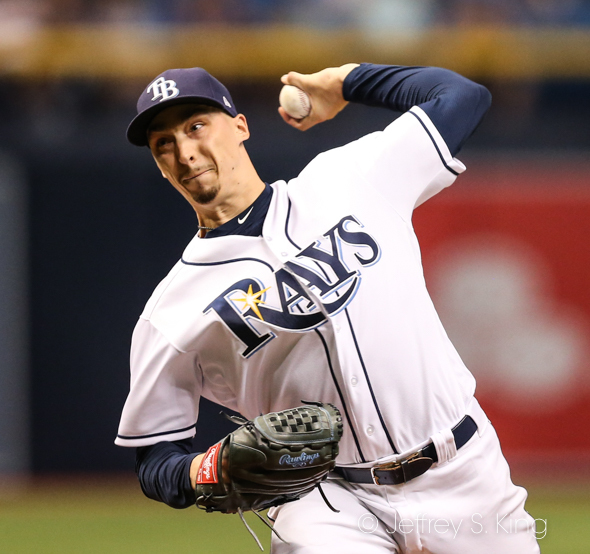 The Rays had their own problems with Blue Jay starter Clay Buchholz and took a lead only in the sixth inning when Austin Meadows singled home Willy Adames. Off Roe, however, the Blue Jays scored twice in the seventh. Tampa Bay threatened in the eighth when Mike Zunino tripled with no one out. Lourdes Gurriel doubled home both runs. The Jays added one in the eighth.But the Rays couldn't put a ball in the play, and the threat died. Adames, Tommy Pham and Daniel Robertson all struck out. The Rays and Blue Jays complete their series today at the Rodgers' Center. Charlie Morton throws for Tampa Bay and Marcus Stroman throws for Toronto at 1:07 p.m. Better hitting would make Cash’s game plan work. True, but they’ve been hitting well. Next post: Who’s to blame for the Lightning disappointment?